Bhutan is a small, land-locked and Buddhist Himalayan Kingdom covering about 4,700 sq km. It is bordered with Tibet to the north and India to the south, east, and the west. Bhutan is the mysterious country nestled in the Himalayas and protected by the compound geography of the high mountains and deep valleys. It is also blessed with a diverse flora and fauna, arts and artifacts. 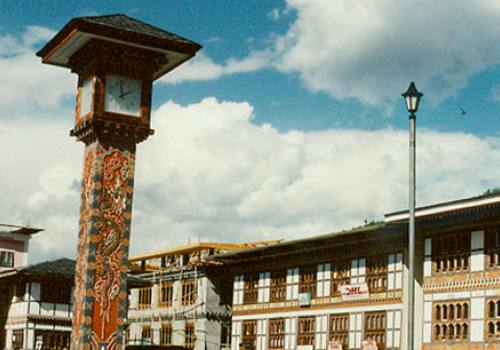 These features have made Bhutan to be truly a paradise. This tiny Buddhist Kingdom popularly is known as the land of Thunder Dragon. The citizens of Bhutan call it, the country of Druk Yul. It is famously regarded to be the Sangri-la of the earth. Bhutan had remained in isolation up until 1970, as it banned outsiders to enter in. Perhaps, therefore, you are amazed to see the marvelously preserved ancient tradition, lifestyles, rituals, arts, and culture. And thus ever since, it was opened for the outsider, Bhutan has been an ultimate destination to many travelers from around the world. You will have miracles right from the moment you step in to Bhutan, you will be amazed with lofty peaks, waterfalls, mysterious and wonderful Buddhist monasteries, arts and architecture, diverse flora and fauna, these all have made Bhutan to be place for worth spending your holiday trip. We the team of Thin Air Adventure is one of the well-admired trekking agencies to operate the tour and trekking including in Bhutan. Thus, feel free to if you wish to visit and spend your holiday in Bhutan. We make all the necessary arrangements required for making your holiday trip a success and worth remembering in Bhutan.